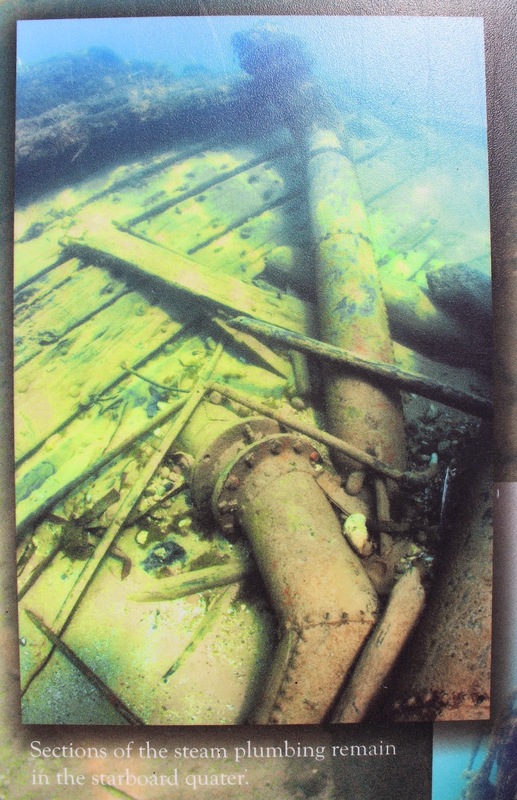 The wreck of the steam-powered bulk freighter Continental lies about a mile north of the Rawley Point Lighthouse. After 22 years on the Great Lakes, the Continental met her fate in a blinding snowstorm. Early on a December morning in 1904, the Continental was steaming south past Twin Rivers Point (now Rawley Point), on her way to Manitowoc for the winter. Disoriented in the storm, the captain mistakenly steered toward shore. Without a cargo, the ship rode high in the water, and she approached shore at high speed. She finally hit a sand bar and slid far onto it. All 20 crew made their way safely to shore with help from local fishermen. Tug boats tried to pull the Continental free, but she had grounded too hard. Over the winter, the power of expanding and shifting ice destroyed the vessel. Today, the Continental sits in 15 feet of water. In periods of low water, the cylinder heads of her compound steam engine break the surface. Most of her hull structure remains. Sections of the wreckage are occasionally uncovered by shifting sand. The marker is located next to the Nature Center at Point Beach State Forest, 9400 County Highway O, Two Rivers, Wisconsin 54241. See also, Restoring the Land Renewed Their Spirit, also at this location. Gorgeous location on Lake Michigan! The marker is on the edge of a bluff overlooking Lake Michigan. 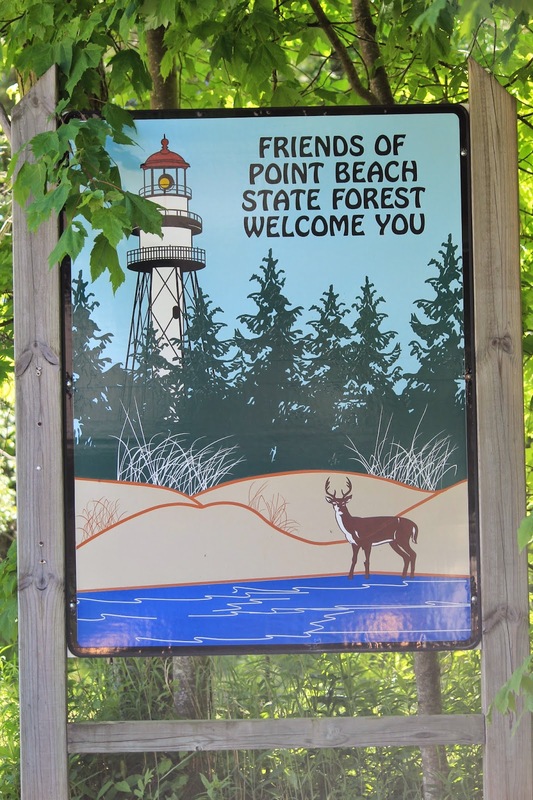 Once inside Point Beach State Forest, just follow the signs to the Nature Center. They may welcome you, but your dog's a whole another story! (many restrictions as to where dogs are welcome.